Considerable cloudiness. Low 37F. Winds WSW at 5 to 10 mph.. Considerable cloudiness. Low 37F. Winds WSW at 5 to 10 mph. It is no secret that Montana has the highest rate of suicide in the country. Compounding this crisis, Montana has a critical shortage of mental health providers that has been well documented for the past 10 years. At least 68 new psychiatrists would be needed to address this critical shortage (Health Resources and Services Administration 2017). There is also a critical shortage of psychiatric nurse practitioners. Given those shortages, the majority of psychiatric medications (70-80 percent by some estimates) are prescribed by non-mental health specialists. 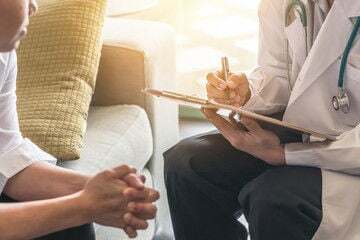 The consequences of the provider shortage, particularly for the rural poor and the persistently mentally ill, can be dangerously long wait times and infrequent appointments. It can take months to obtain an appointment with a psychiatrist. Medication follow-up can be poor due to the high volume of patients each provider must cover. Through Senate Bill 106, the Montana Legislature has the opportunity to increase our citizens’ access to mental health care by authorizing appropriately trained clinical psychologists to prescribe medications to treat mental illnesses. The military has used prescribing psychologists for over 20 years and has reported no adverse events. In New Mexico and Louisiana, psychologists have been prescribing for a decade with no reported adverse events. Trained and licensed psychologists have been prescribing when employed by Indian and Public Health Services, including in Montana for the past seven years. The states of Idaho and Iowa will soon have prescribing psychologists as well. Twenty years of evidence shows that prescribing psychologists practice safely and competently. When working collaboratively with a patients’ primary care providers (a requirement of SB 106), prescribing psychologists have the potential to help Montana add to its mental health workforce to address the crisis we are facing. Please help increase our citizens' access to comprehensive mental health care by supporting passage of SB 106. Earl Sutherland is a licensed psychologist and chief of Training and Integrated Services at Bighorn Valley Health Center in Hardin.